It’s been a couple of weeks since one of these features because I was trying to wrap up a book review last Sunday. There was just one book purchase that came in that week, and it’s the first book included below (and it’s one I couldn’t resist buying since I’ve been excited about it ever since I first heard about it!). If Tomorrow Comes (Yesterday’s Kin Trilogy #2) by Nancy Kress — I didn’t find this as engrossing as the first novel in the series and felt there were too many major characters accompanied by too little satisfying character development/arcs, but I did find the planetary setting interesting and enjoyed that this is science fiction in which science is a hero that makes progress possible. And now, recent book arrivals! 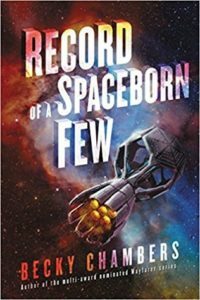 Peng Shepherd’s debut novel, which appeared on my anticipated books of 2018 list, is available in hardcover, ebook, and audiobook. 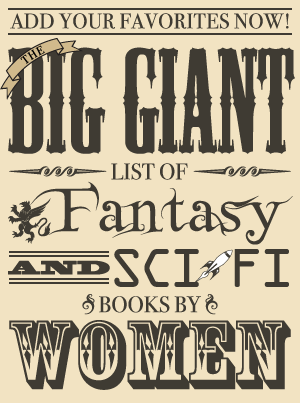 The publisher’s website has a sample from The Book of M—and if you missed it on this site in April, Peng Shepherd wrote an essay about the time-traveling book that made her love SFF and introduced her to the magic of books (literally!). 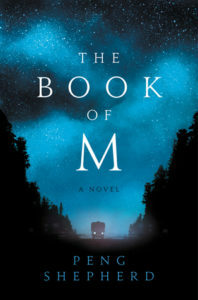 Set in a dangerous near-future world, The Book of M tells the captivating story of a group of ordinary people caught in an extraordinary catastrophe who risk everything to save the ones they love. It is a sweeping debut that illuminates the power that memories have not only on the heart, but on the world itself. One afternoon at an outdoor market in India, a man’s shadow disappears – an occurrence science cannot explain. He is only the first. The phenomenon spreads like a plague, and while those afflicted gain a strange new power, it comes at a horrible price: the loss of all their memories. Ory and his wife, Max, have escaped the Forgetting so far by hiding in an abandoned hotel deep in the woods. Their new life feels almost normal, until one day, Max’s shadow disappears, too. Becky Chambers’ third Wayfarer novel will be available on July 24 (hardcover, trade paperback, ebook, audiobook). 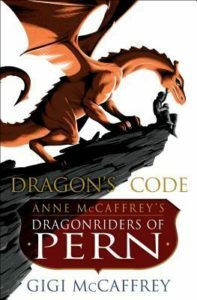 Dragon’s Code is an upcoming new book written by Anne McCaffrey’s daughter, Gigi McCaffrey, that is set in the world of Dragonriders of Pern. It will be released on October 2 (hardcover, ebook). The last time Thread attacked Pern, the world was unprepared for the fight—until the Oldtimers appeared. These courageous dragonriders arrived from the past, traveling four hundred years to help their descendants survive. But the collision of past and present took its toll. While most of the displaced rescuers adapted to their new reality, others could not abide the jarring change and found themselves in soul-crushing exile, where unhappiness and resentment seethed.